In other words, when you give people accurate information on human development in the womb, support for abortion dwindles. Given a choice between one candidate who said abortion should be legal at any point during a pregnancy and a candidate who said abortion should not be allowed once a fetal heartbeat has been detected, 51% would vote for the candidate who opposed abortion once a heartbeat has been detected. Twenty-seven percent (27%) would support the candidate who believes abortion should be legal at any point during a pregnancy and 22% are not sure…. Overall, among all voters, just 12% believe abortion should be allowed at any point during a pregnancy. But before I had a chance to respond, Fraley deleted her tweet. However, the uninformed response really warrants a response, as this has become a much more frequent false claim from abortion supporters. 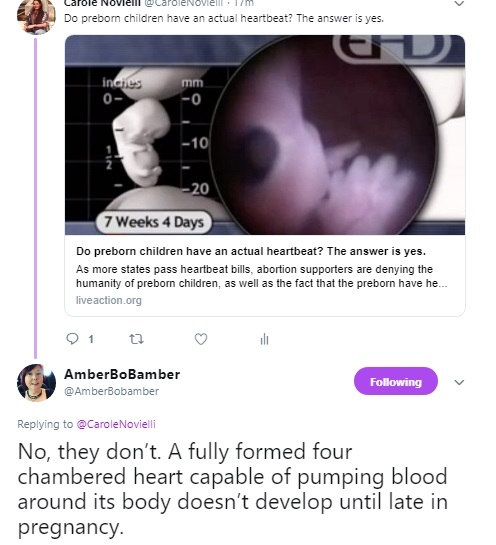 READ: Do preborn children have an actual heartbeat? The answer is yes. Live Action News reached out to Donna J. Harrison M.D., Executive Director at the American Association of Pro-Life Obstetricians and Gynecologists (AAPLOG). Harrison confirmed that Fraley’s claims about the preborn heart are way off. “The heart is pumping blood through the fetal body by 5 weeks gestation and is fully formed by 10 weeks gestation,” said Harrison. 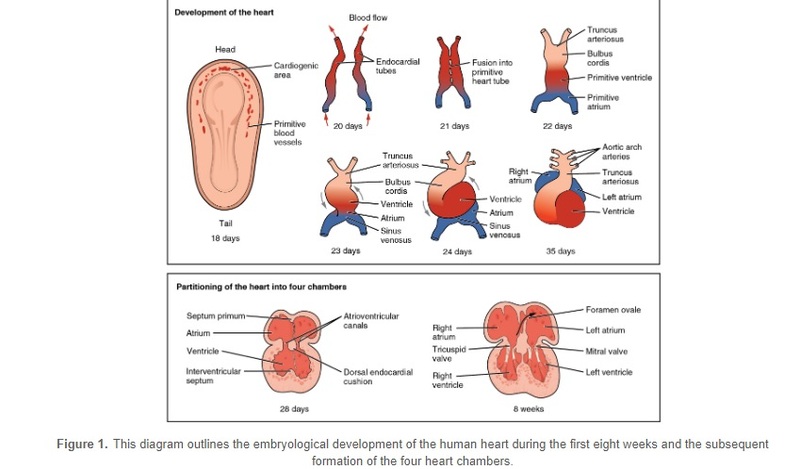 The human heart has developed 4 chambers by Carnegie stage 22, approximately 8 weeks (56 days) post-fertilization. 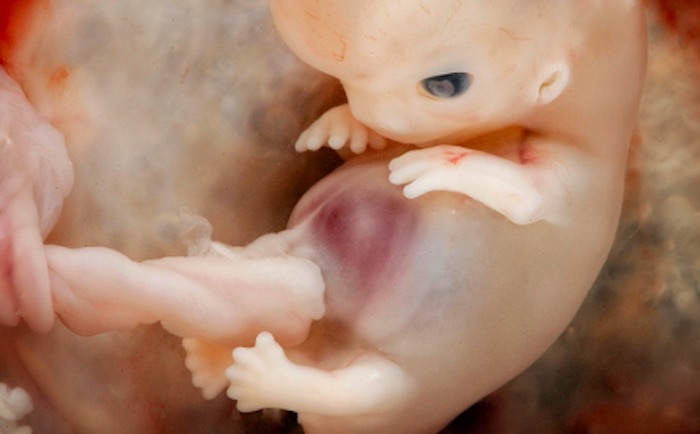 But it has been beating and circulating blood throughout the body of the developing embryo since about 26 days. It was only a simple tube at that stage, then developed 2 chambers, then split those 2 into 4 chambers which were complete by about 56 days post-fertilization. The first trimester is approximately the first 12 weeks of pregnancy; therefore, it is clear that the heart is fully developed well before the first trimester is complete. The oxygen is exchanged from Mom’s blood to the developing baby’s at the placenta. The oxygenated blood then enters our body at a spot called the Ductus Venosus (near the liver), and from there goes to the developing baby’s heart. Since it’s already oxygenated, there’s a shortcut between the atria (Foramen Ovale) so blood can go from the right to the left side of the heart, and out to the body (rather than from right side of heart to lungs and back.) Some blood does go into the right ventricle which would normally pump all it’s blood to the lungs, but there’s another shortcut (Ductus Arteriosus) which cuts over to the aorta and sends much of that blood to the body. In essence, both right and left ventricles are pumping oxygenated blood to the body. “At birth,” Dr. Prentice added, “The shortcuts are closed off so that oxygen is now obtained from the lungs. The blood will then go from right atrium to right ventricle, to the lungs to get oxygenated, back to left atrium and left ventricle, and out to the body.” Here’s a video which shows this process very well, and this website describes the circulatory system of the preborn child also, showing the shunts and explaining their closure. Bottom line: abortion proponents who claim that the human embryo doesn’t have a heartbeat or a functioning heart are utterly unscientific and false. Perhaps we should listen to more reliable sources than those who seem to be reaching for any excuse to continue the arbitrary killing of preborn human beings.